Immigration has become a defining topic of elections and politics globally, from the US to the UK. Germany was the latest to capitulate to xenophobic tendencies, with chancellor Angela Merkel dialing back her policy of welcoming refugees and immigrants to appease immigration hawks within her own government. A group of Harvard University researchers looked at the common threads between the backlash against immigrants in those and other developed countries. Their findings, published by the National Bureau of Economic Research last month, point to misinformation and prejudice. The study, written by Alberto Alesina, Armando Miano, and Stefanie Stantcheva, asked two sets of questions to a statistically representative sample of 22,500 people from France, Germany, Italy, Sweden, the UK, and the US. One set was related to immigrants, defined as people living in their adopted country legally. The other was about wealth redistribution and welfare benefits. The order in which respondents answered the two sets of questions was randomized. The study’s results: Making people think about immigration is an effective way to turn them off social programs to reduce poverty. The people who answered the immigration questions first were “more averse to redistribution, believe inequality is less of a serious problem, and donate less to charity,” write the researchers. This was true even in European countries where support for welfare benefits is typically high. 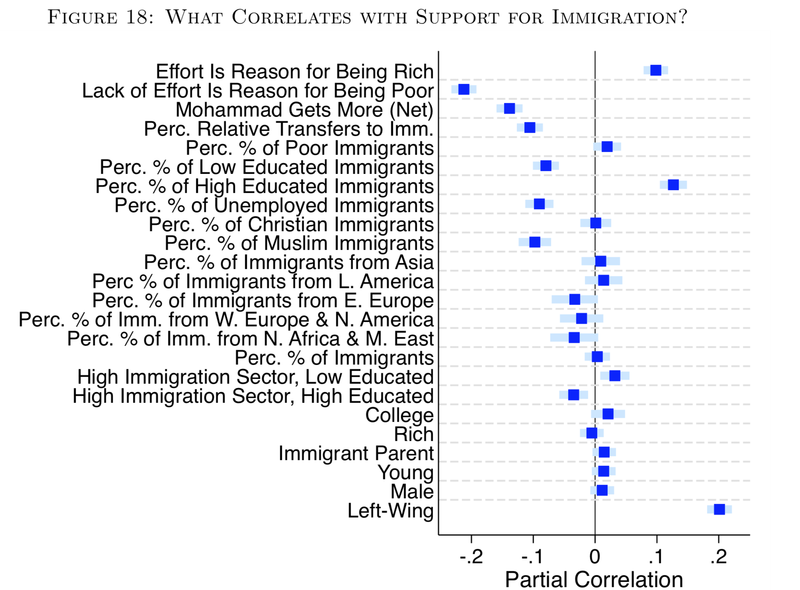 Why does thinking about immigration make people less generous? It likely has to do with their inaccurate perceptions about immigrants. Respondents to the Harvard poll in all countries saw immigrants as being poorer, more reliant on welfare, and less educated than they really were. 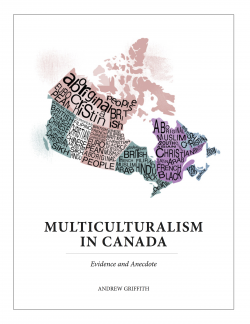 With the exception of the French, all respondents overestimated the share of Muslim immigrants and underestimated the share of Christians. They also estimated that immigrants were more numerous than they really are. In US, the country where disparity between perceptions and actual numbers was the most striking, respondents put immigrants’ share of the country’s population at 36%. It’s only 10%. The inaccurate perceptions, the study notes, are systematic across income and education levels in all countries. This kind of prejudice makes for a politically powerful tool for those trying to cut back social benefits. “Anti-redistribution parties, even those not averse to immigration per se, can play the immigration card to generate backlash against redistribution,” the researchers wrote.